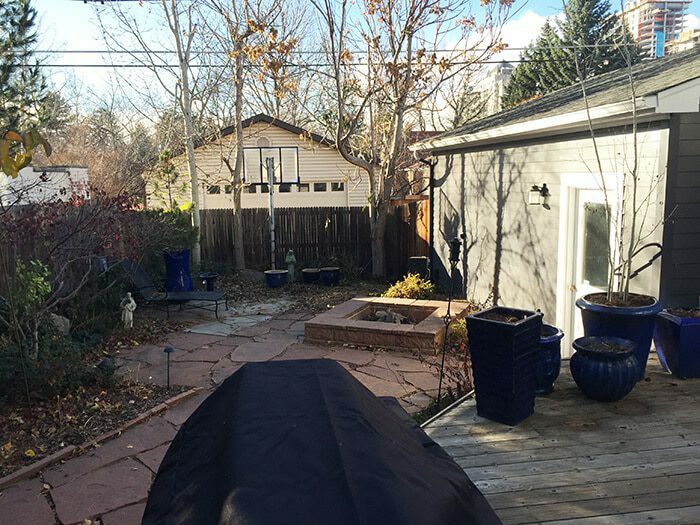 With the outdoor space of their longtime residence ready for a fresh start, this Denver couple had big ideas for their patio makeover. 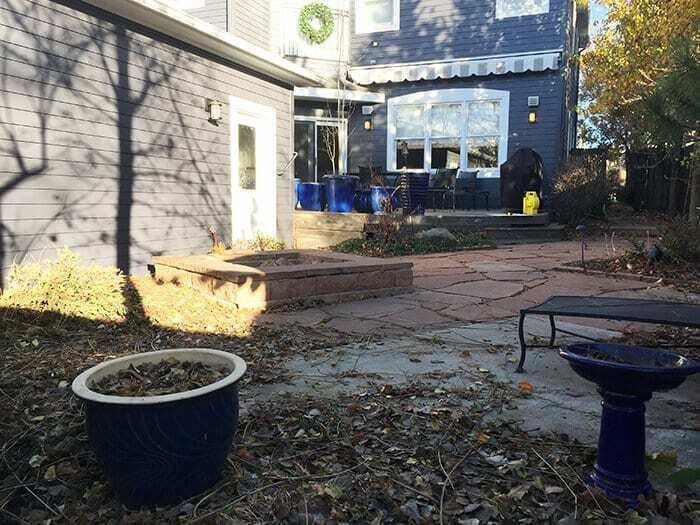 Inspired by a vision of a large rustic fireplace and plenty of cozy spaces for entertaining, this backyard upgrade is almost unrecognizable from its before photos. The new design maximizes the limited square footage with well-defined spaces and serves as a livable extension of the home’s interiors. The result is an outdoor living area that is elevated both literally and figuratively, with a raised deck for dining, a dramatic hearth for gathering, and landscape that will continue to grow and provide an oasis-like setting for years to come. 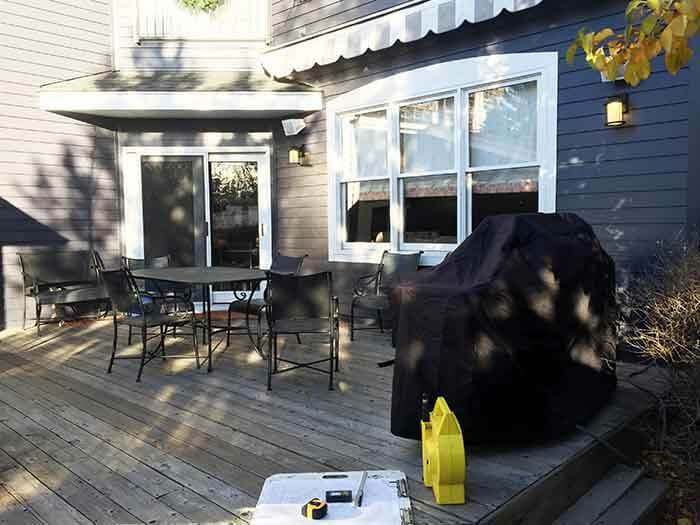 The home’s original deck was timeworn and in need of refining and refreshing. Built of composite decking and defined by a wall composed of Telluride stone, the new raised deck is the perfect stage for al-fresco dining. A retractable awning extends over the large outdoor dining table, shielding the homeowners and their guests from the elements. 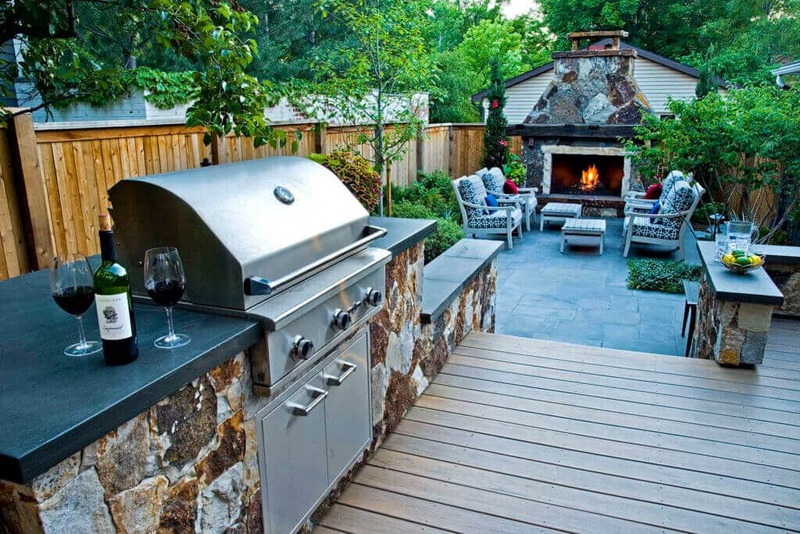 A stylish and accessible built-in grill marries form with function by creating additional counter space for outdoor entertaining. 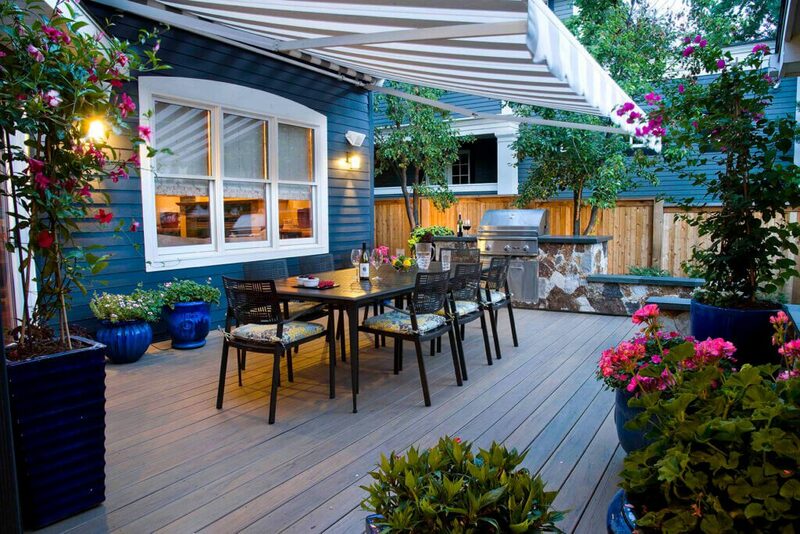 The outdoor space beyond the deck was in need of an update and maximization. There was limited privacy from views of neighboring houses, nor was there adequate shade from Colorado’s famous sunshine. 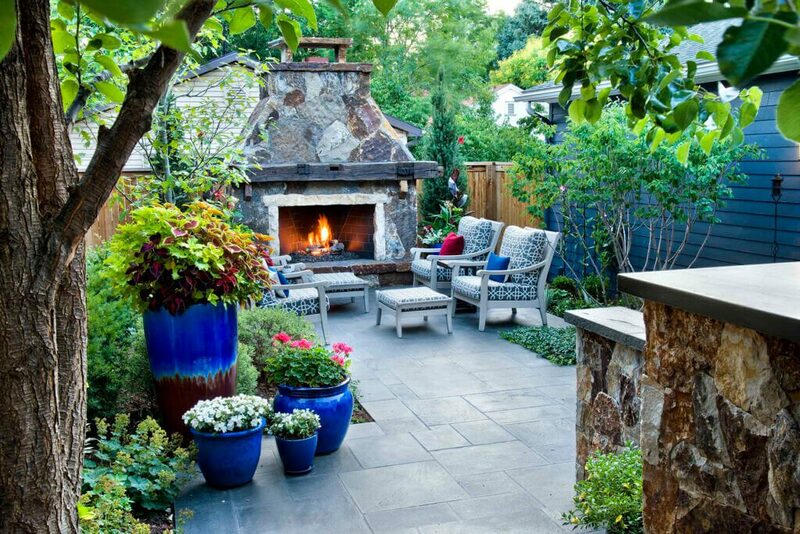 The pièce de résistance is the backyard’s large rustic fireplace, crafted from Telluride stone. Each piece is chiseled to fit together like a jigsaw puzzle, with no visible mortar joints. The mantle boasts a reclaimed timber from an old barn, driving home the concept of cozy Rocky Mountain living—with a side of true backyard luxury. Ready for your own Before & After adventure? Call the design experts at Lifescape today! 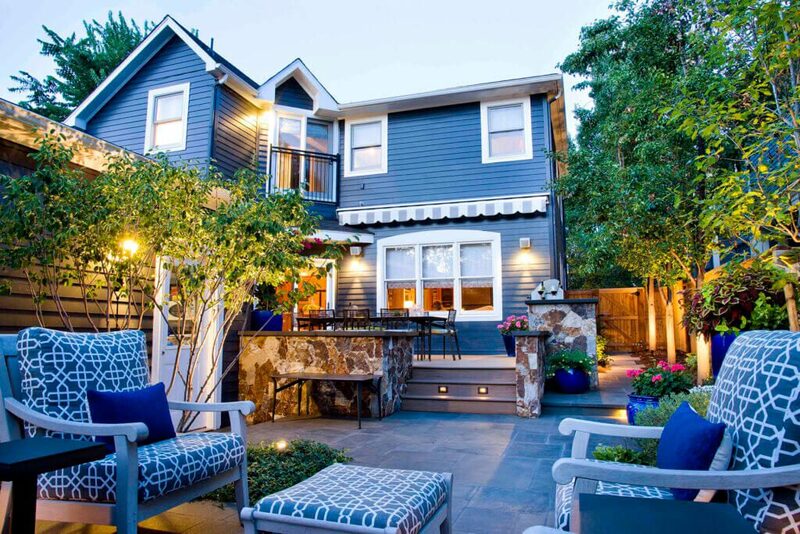 See this home and article featured in Colorado Homes & Lifestyles magazine. Click here!